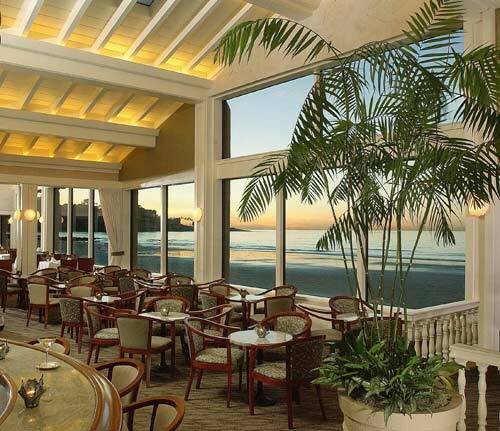 The Marine Room Restaurant overlooks La Jolla Shores Beach. Author’s note: San Diego Restaurant Week is such a hit that it’s been extended through Friday, September 30. That includes 2-course lunches for $10, $15 or $20 and 3-course dinners for $20, $30 or $40 at participating restaurants. 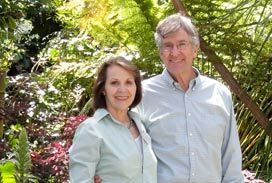 California is known for its great restaurants and many of the best ones are in San Diego. If you’re lucky (or were clever enough to plan ahead) your vacation will coincide with San Diego Restaurant Week, September 18-23. As you’ll see from the map on the website, quite of few of the participating restaurants are in La Jolla, San Diego’s favorite coastal community. Travelers who want an ocean view while they dine will head to The Steakhouse at Azul on Prospect Street (3 course prix fixe dinner, $40) where you’ll have a choice of sitting indoors or on the patio. Prefer seafood to steak? The Crab Catcher – also on Prospect Street and also with an ocean view – is offering 2-course lunches for $15 and dinners for $30. La Valencia Hotel’s Sky Room (3-course prix fixe dinner, $40) has a bird’s eye view of the coast, and the hotel’s Mediterranean Room is also participating (2-course lunches for $20 and 3-course dinners for $30). Chedi Thai Bistro on Pearl Street doesn’t have a view, but during Restaurant Week their 3-course dinners cost only $20 (and fried banana ice cream is one of the dessert choices). That’s a great deal, but probably not as good as the $15 lunches at Roppongi Restaurant & Sushi Bar. Having said all that, I’m a beach person, so my personal preferences are the Shores Restaurant in the La Jolla Shores Hotel (dinner, $30) and the Marine Room at the La Jolla Beach & Tennis Club (dinner, $40). Both face La Jolla Shores Beach, which is beautiful night and day. Regardless of which restaurant you choose, be sure to make reservations as far ahead as possible. San Diego visitors will be competing for tables with more than 100,000 locals who also want to take advantage of these great deals.